I threw caution to the wind when determining my career path. Eh… Who cares if I struggle to find a job and barely make ends meet as a writer? But there are others, perhaps those smarter than me, who actually pay attention to the job market. If you’re one of them, listen up. You’ll want to hear about the fastest-growing profession in the U.S.
A recent Environmental Defense Fund report found that solar and wind jobs are growing at rate of 20% annually. The field is creating jobs 12 times faster than the rest of the U.S. economy. Specifically, it found that wind-turbine technician is the fastest-growing profession. The report doesn’t come as a total surprise. 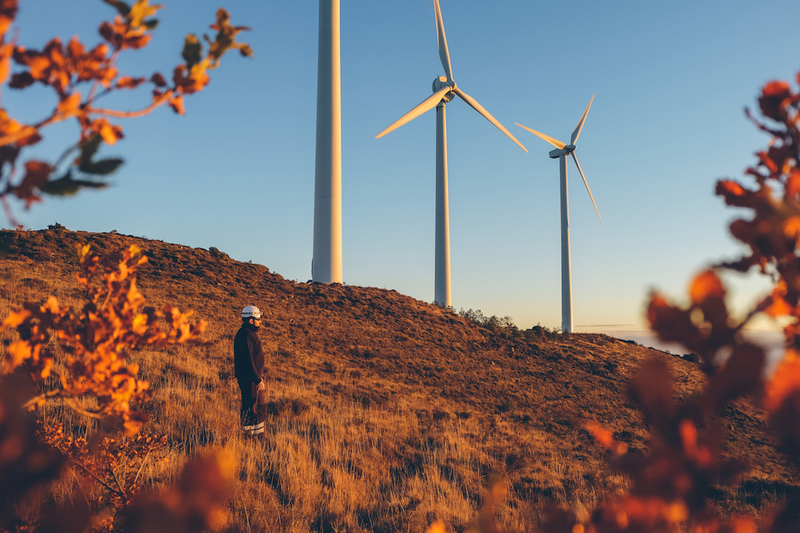 The Bureau of Labor Statistics projected that wind-turbine technician would be the fastest-growing occupation between 2014 and 2024, with an anticipated growth rate of 108%. How Much Can You Make as a Wind-Turbine Technician? According to the BLS, the median pay for a technician in 2015 was $51,050 a year — or about $24.55 an hour. The bottom 10% earned less than $37,010, while the top 10% earned more than $71,820. Where are the Wind-Power Jobs Booming? The report mapped out the states with the best wind-power job prospects. The state with the most promise was Texas, with a projected 24,000 to 25,000 jobs. Oklahoma followed with an estimated 7,001 to 8,000 potential jobs. Colorado, Kansas, Iowa and Illinois could each add 4,001 to 7,000 wind-power jobs. What Do Wind-Turbine Technicians Do Exactly? Inspecting towers, which involves climbing. Collecting data for research purposes. Not afraid of heights? Good. How Do I Become a Wind-Turbine Technician? Typically, energy-efficiency jobs pay higher than average and don’t require college or advanced degrees. Wind-turbine technicians usually attend a technical school, reports the BLS. There are also associate degrees programs, which usually take two years to complete and are available at technical schools and community colleges. Interested in more of the fastest-growing jobs that don’t require a college degree? Check out this story. And for all your job resources, visit The Penny Hoarder’s Facebook jobs page. Your Turn: Are you considering becoming a wind turbine technician?